Education is a powerful tool: it prepares one for life and is also life itself. And while learning is an ongoing process, its practical application can reap massive dividends in the future. It’s not too often that a world-class sporting event forms the backdrop of a practical assignment but this was exactly the case for seven students of ETA College’s Coaching and Administration Skills Development. In March of this year, Beatrice Themane, Andre Afrika, Deon Hendricks, Aubrey Kotze, Chad Conradie, Nonkasa Lucky Ntlantla and Unathi Msophi all from previously disadvantaged backgrounds, got the opportunity to apply the knowledge gleaned in the classroom into a real life situation. As volunteers at the Stellenbosch World Cup and the Absa Cape Epic, they were an integral part in the resounding success of these two events. And their work didn’t go unnoticed. 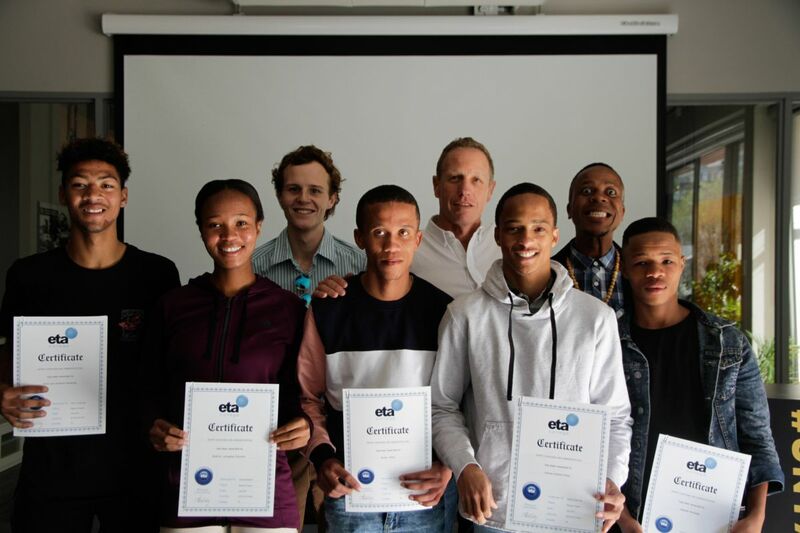 The Absa Cape Epic was proud to host their graduation ceremony in early August. The close interaction over those two busy weeks in March with these Active Communities Network-funded students once again brought home how big an impact grass-roots programmes can have on people’s daily lives. All hailing from the Stellenbosch area, the students’ course requires them to be employed in their actual field of study. This is in addition to a strict selection process, which qualifies them for the four month long Level 5 programme. Both theoretical coaching skills and administrative expertise make up the curriculum, these subjects allowing the students to take their current coaching activities and program management to the next level. This is part of the Active Communities Network’s core belief that facilitating the personal growth of these young people will in turn encourage them to become forces for positive change. ‘My fellow graduates and I hope that the skills we learnt in achieving this certificate will help us leave a lasting legacy in our communities,’ says Unathi Msophi. Along with fellow student and Epic Volunteer, Nonkasa Lucky Ntlantla, Unathi is employed as the joint-manager of the BMT Cycling Academy. Besides its strong sense of community, the Stellenbosch-based academy is also racing-focused, with Academy riders taking part in the Absa Cape Epic’s Exxaro Special Jersey competition. Honouring these seven graduates forms part of the Absa Cape Epic’s continued commitment to community service. 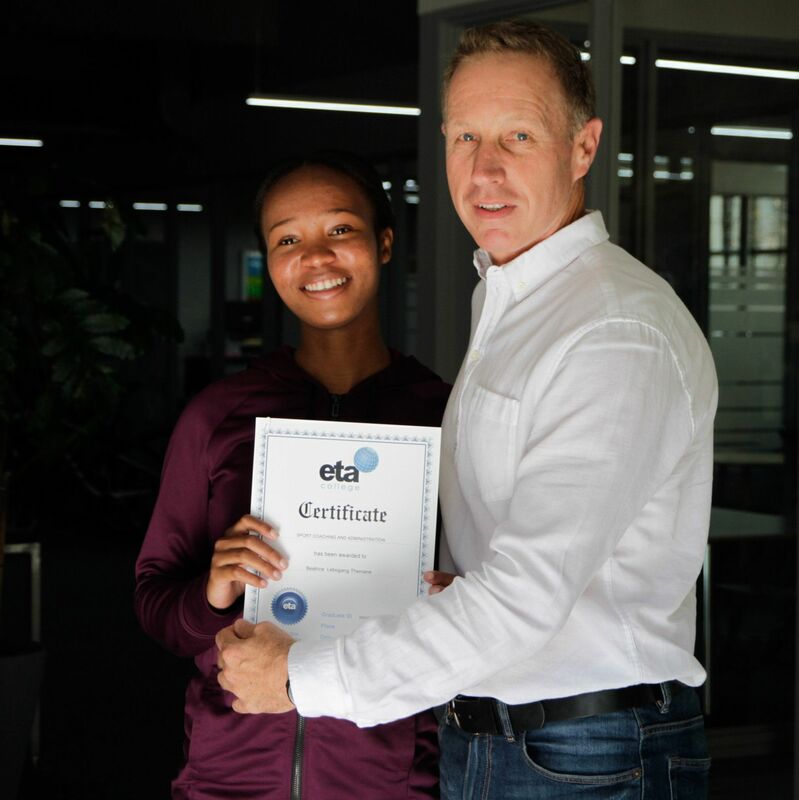 Active Communities Network students completing their Coaching and Administration Skills Development course at ETA Colleges will continue to be able to put their theoretical sports administration skills into practice and learn first-hand, from industry leaders, what goes into staging a world class event.